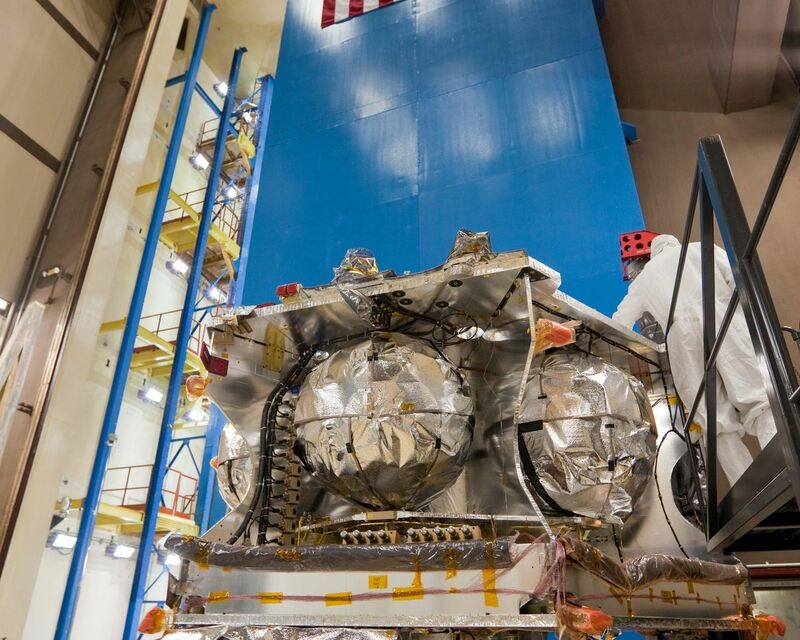 Technicians prepare NASA's Juno spacecraft for a functional test of its main engine cover. The spacecraft rests upon a dolly, which has tall legs to provide the necessary ground clearance for the engine cover to open. The cover will remain closed for most of Juno's mission, but must open for two main engine burns in 2012 that set up an Earth flyby gravity assist maneuver, and then in 2016 for the Jupiter orbit insertion burn and period reduction maneuver. This image was taken on Sept. 30, 2010, in the Reverberant Acoustics Lab at Lockheed Martin Space Systems in Denver, during Juno's assembly process. Juno aims to understand the origin and evolution of Jupiter. NASA's Jet Propulsion Laboratory, Pasadena, Calif., manages the Juno mission for the principal investigator, Scott Bolton, of Southwest Research Institute at San Antonio, Texas. 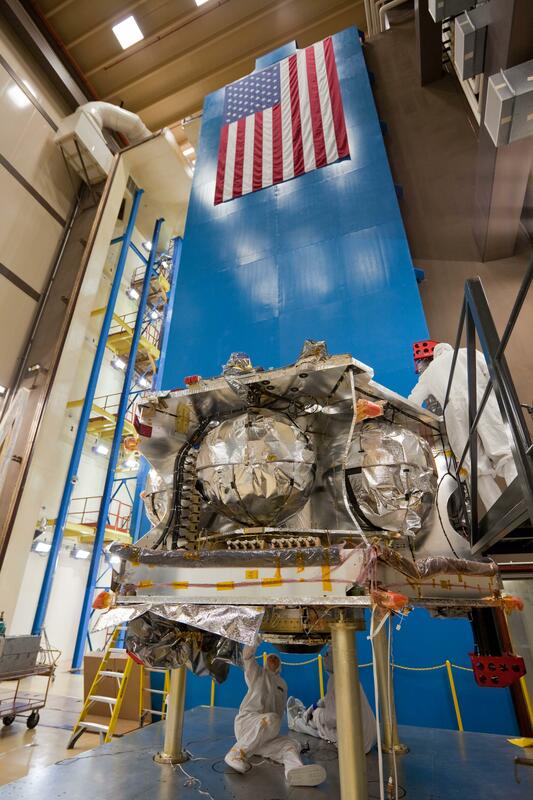 Lockheed Martin Space Systems, Denver, is building the spacecraft. 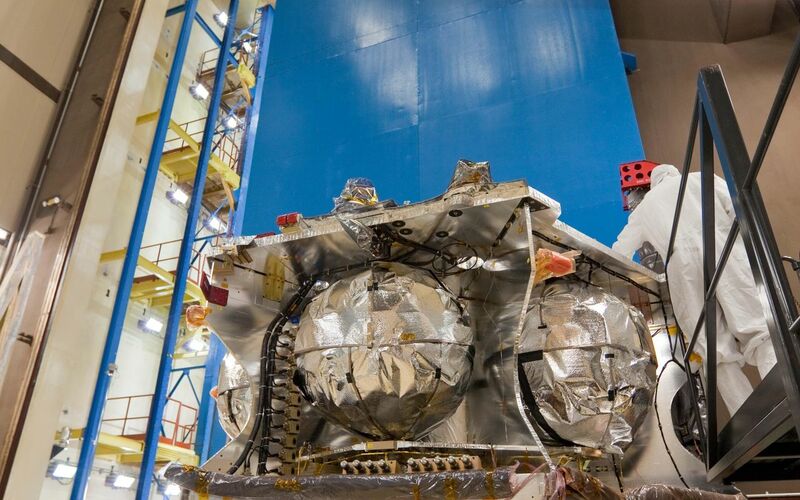 The Italian Space Agency in Rome is contributing an infrared spectrometer instrument and a portion of the radio science experiment. JPL is a division of the California Institute of Technology in Pasadena.